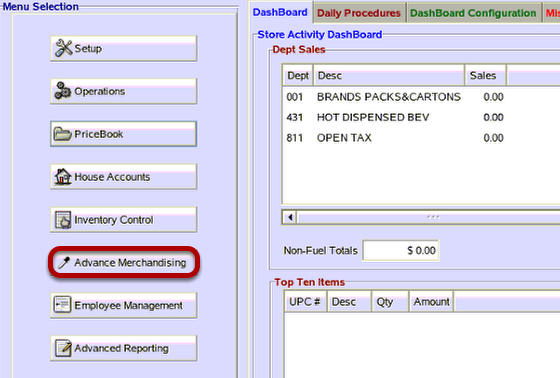 TravStar1 Point Of Sale SystemManager's Work Station Advanced Pricebook ManagementHow Do I Setup a Quantity Discount? 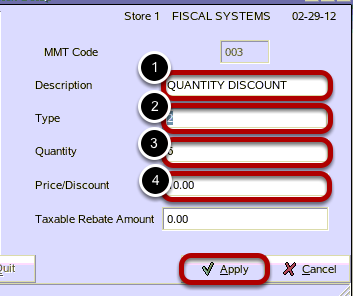 How Do I Setup a Quantity Discount? This lesson will teach you how to setup a quantity discount. From the main menu, click on the "Advance Merchandising" button. 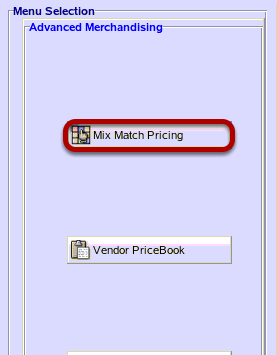 From the Advanced Merchandising menu, click on the "Mix Match Pricing" button. From the Mix Match Setup, click on the "Add" button. From the Add New Mix-Match screen, type in a 3 digit number . Make sure the new mix match code does not already exist. This number is how you can assign the discount to an item in your pricebook. From the Mix Match Setup screen, fill in all fields. (1) Give the discount a description. (2) The type 2 discount will be used for a quantity discount. In this example you want to give a 10 % discount on an item if the customer buys a quantity of 6. (3) The Quantity will be 6. (4) The Discount will be 10.00. This means that the sixth item will receive a 10 % discount. From the Mix Match Setup screen, click on the "Quit" button. From the Advanced Merchandising screen, click on the "Main Menu" button. Before you can assign a Mix Match to an item, you must send the Mix Match code to the register. How Do I Send Mix Match Files To The Register? Now that you have setup a Mix Match code, you will need to apply your new Mix Match code to an item(s). How Do I Apply A Mixed Match Code To A Single Item? How Do I Apply A Mixed Match Code To Multiple Items? Prev: How Do I Setup a Price Discount? Next: How Do I Setup a Mixed Price Quantity Discount?